Ronny Alexander Cedeno was born Febraury 2nd, 1983 in Puerto Cabello Venezuela. He was signed by the Chicago Cubs in 1999 as an amateur free agent. After seven seasons at minor league ball the six foot infielder made it to the big leagues. He began 2005 as the Cubs replacement for Nomar Garciaparra but lost out to Neifi Perez. In 2006 he became the youngest Cubs Opening Day short stop since Shawon Dunston in 1986. Cedeno had a bad year both defensively (.956 fielding%) & at the plate, as he struck out 109 times walked just 17 times & hit .245. He lost his starting job to Ryan Theriot. He played two more season in Chicago with trips back down to the minors. He played in two NLDS in those years with the Cubs, seeing action in three games as a defensive replacement. In 2009 he signed with the Seattle Mariners byt was traded in July to the Pittsburgh Pirates in a six player deal that brought Jack Wilson & Ian Snell to Seattle. In 2010 he became the Pirates main short stop batting .256 with 8 HRs 29 doubles 12 stolen bases & 38 RBIs. In 2011 he posted a .978 fielding % (5th in the NL) & hit .249 for the fourth place Pirates. In the off season he was signed by the New York Mets. 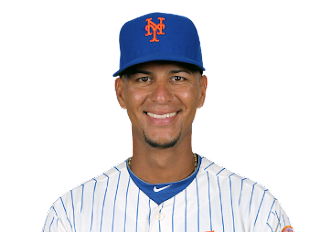 Cedeno made his Mets debut on Opening Day 2012, playing second base entering the game in the 9t inning. On April 10th he got his first start & drove in a run with a double off the Nationals Tyler Clippard. 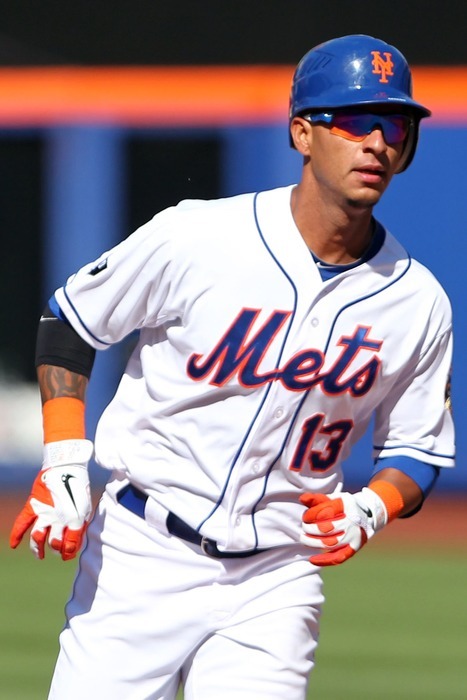 Cedeno enjoyed a three hit day but New York lost to Washington 6-2. On May 17th, he capped off a big Mets rally at Citi Field, with a three run HR off Logan Ondrusek in a 9-4 win over the Cincinnati Reds. He would miss a month of action, returning in late June. On July 30th he doubled off Madison Bumgarner in San Francisco, helping the Mets in an 8-7 win over the Giants. Then on August 2nd he had his biggest day, as he gathered three hits & drove in five runs in the Mets 9-1 win over the Giants. As the road trip moved to San Diego, Cedeno drove in three more runs over two games, including a two run HR. In September he saw ample playing time finishing the year batting .259 with 11 doubles, one triple, 4 HRs & 22 RBIs with a .332 on base %. 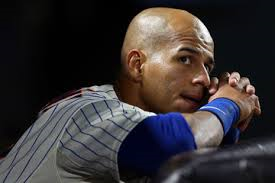 He played 28 games at second base for the Mets, 27 games at short & three games at third base. In October 2012 he was granted free agency. In 2013 Cedeno played for the Houston Astros & San Diego Padres batting .242 overall in 89 games played. The majority of his time (76 games) was ay the short stop position. On September 23rd, he was hit in the head by a Heath Bell pitch & lost consciousness, as well as a week of action with concussion like symptoms. In his nine year career, he batted .246 with 629 hits 116 doubles 30 HRs 239 RBIs & a .289 on base %. Overall at short (651 games) he posted a .970 fielding % making 84 errors. At second (109 games) he posted a .981 % making seven errors. In January 2014 he received a Spring Training invitation to the Philadelphia Phillies. Family: Ronnie is married to the Venezuelan model Aura Avila.